Obituary for Helena Jerone Taylor | House of Wheat Funeral Home, Inc.
TAYLOR, Helena J., age 80, of Dayton, born October 24, 1938 in Charleston, WV, passed away Sunday, January 13, 2019. 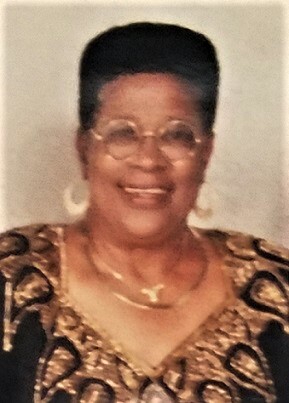 Preceded in death by her parents George and Catherine Powell; siblings, George Powell Jr., Ozella Neal, Phillip, Luther, Joseph and Rocky Powell. Helena leaves to cherish her memory her loving husband, Johnny Taylor Jr.; children Lena Hansbro, Floyd Bailey Jr. (Rachael), Johnny Taylor III (Tasha), E'ona Gillis, Helena Taylor Graham; siblings, Arletta Noble, Arthur Powell (Donna), Jacqueline Williams, Eleanor Sanford; a host of grandchildren, great grandchildren, great-great grandchildren, nieces, nephews, cousins and special friends. Funeral service will be held 11 am Thursday, January 17, 2019 at Bethesda Temple, 3701 Salem Ave. Visitation 9-11 am. Family will receive friends 10-11 am. Interment Woodland Cemetery. Arrangements entrusted to House of Wheat Funeral Home, Inc.